Kolibrie is the specialist and market leader in the field of payroll for the catering industry. to expand their service offerings for their customers, they have started their own employment agency: Kolibrie Next. All ingredients were available: an experienced team, good connections in the market and increasing demand for flex workers. Kolibrie Next has approached Sping to achieve this vision and create an on-line employment platform where students and catering entrepreneurs can find each other. Job-seekers can register quickly and get the best matching jobs offered through a mobile app. Even the identification and signing of the contract are dealt with with a few actions on the smartphone; As well as the hour registration and payout. Already within a few hours of registering in the app, the student can actually get started. Employers in the catering industry are also offered convenience and speed by being able to place vacancies on their own and get the best matching profiles via a clever algorithm. The Kolibrie Next team can monitor all of these processes and intervene where necessary via a web application. 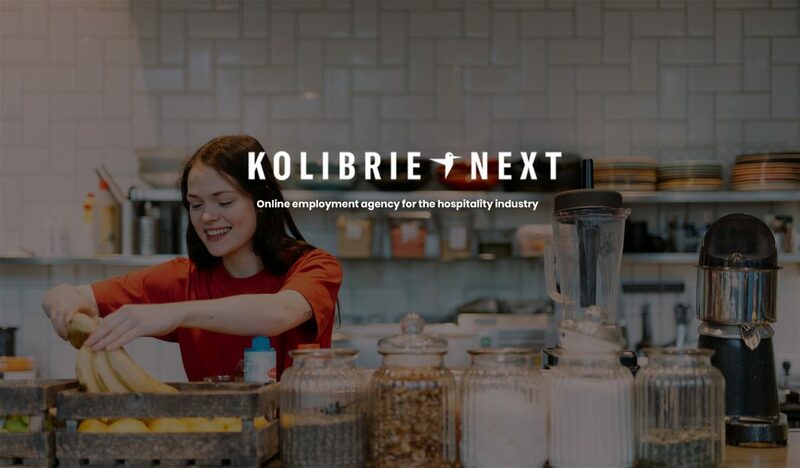 Kolibrie Next helps young people find a flexible side job in the hospitality industry that best suits their needs and qualities. Employees determine how often they work. This way it is very good to combine with school or study. In addition, Kolibrie Next offers its employees several workshops and training courses so that they can continue to develop themselves. On the other hand, employers are struggling to find well-skilled and experienced workers. Kolibrie Next found out that despite the current status of supply and demand, it is a challenge to find a good match for both parties. 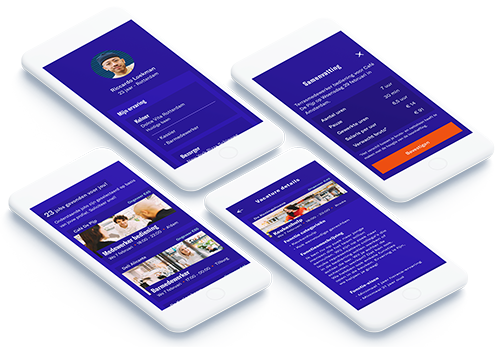 Create an employment platform for employers and employees with which Kolibrie Next can distinguish itself in the market by the simplicity, speed and convenience of service. Realise a first version of the platform within 4 months. Beginning in 2018, we started and the challenge was to go live with a first MVP in July 2018. Kolibrie’s Product Owner, DMU and technical leads have worked closely with Sping’s Product Design team. We started off with a design sprint. Here we devised a concept. We have also made a competitor analysis, personas and defined customer journeys. After that we quicklystarted with a prototype to test with the numerous target audiences. After this, the concept was developed in an iterative way with the customer, with an agile team of designers and developers. The app communicates with the back-end using the GraphQL language. GraphQL is a language developed by Facebook and makes it easy and efficient to load data from the server to the app and vice versa. Part of the data that the app sends to the back-end, isn’t stored on the server but is redirected using a proxy to AFAS Profit. This is a software solution that governs the project administration for Kolibrie. In the back-end, several background workers are used who automatically execute tasks, like checking the contract status from Profit or updating an employee’s salary on his birthday. The admin environment itself is made with Ruby on Rails and uses VueJS to make the application interactive. For the automatic handling of the identification we integrate with a third party. The digital signing of the automatically generated contract is also handled with the help of an integration with a third party. The platform is fully redundantly hosted on AWS. The app is available in the Google Play store and Apple App Store. People who are looking for a job with flexible hours can find the job that suits them with the free app. Read more on Kolibrie-next.nl.